C'mon, admit it. Girls admire other girls, don't we? Nothing to be embarrassed about admitting that. You always hear or see girls complimenting each other's features, style, etc etc. We look at other girls who we find pretty. Can't say the same about guys though since guys don't usually admire other guys. Not that I know of. I don't think guys normally go to their guy friends and tell them that they are handsome, beautiful or whatever, even if they feel that way. Ego kot? I personally think that there is nothing wrong in admiring and appreciating beauty, regardless of where it is from. I think girls are attracted to aesthetic beauty and have the ability to appreciate both the rugged and the softer aspects of beauty. That's why girls rock! 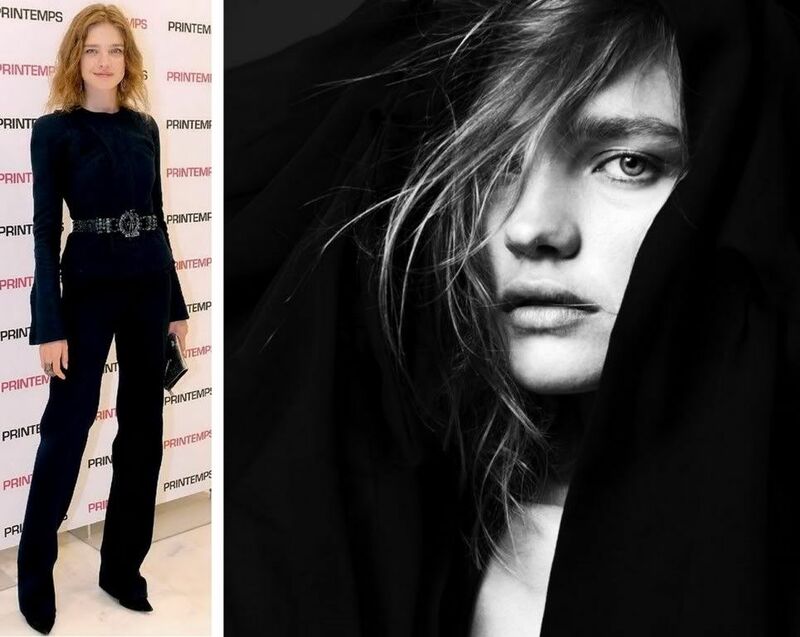 Anyway, today I'm going to start off my international Style Crushes list by sharing with you my favourite pictures of Natalia Vodianova (Natalia Mikhailovna Vodianova) the Russian model and philanthropist. I am in LOVE with her face and style, okay. I've had a crush on her since I first saw her. Apart from being very pretty and cute, I like her because of her minimalistic style. She always dresses down and wears minimal make-up. Some say it's because of her humble beginnings as a fruit seller but it doesn't matter because it shows you do not always have to over-dress to be noticed. Just look at her style. These pictures are from a few years back and I think her style is relevant even today, won't you agree? 1. Back to basics: NV does the black and white. The second picture is a picture of NV with one of her daughters. NV is a mother of three by the way, but she looks so young. 4. Soft and gossamer-like. This one has to be my absolute favourite. I would wear these looks in an instant. She is just so pretty. That's all for now. Her style is simple yet delicate. Who else has a crush on her? she is very pretty! i wonder how she can look so young and very natural yet she's older then either of us :) hehe. and gosh, that is so true, she doesn't look like a mother to me!